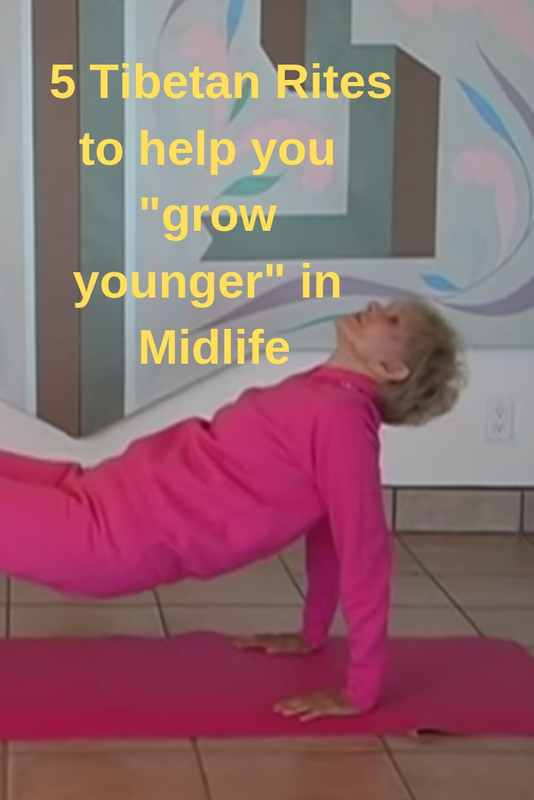 The 5 Tibetan Rites demonstrated here by “how to grow younger” expert Ellen Wood are a great health secret to keep you looking – and feeling – zestful and younger in your midlife dating years! I am a great devotee of Yoga to keep me youthful – and the 5 Tibetan Rites are very much part of my add-on routine! In this video http://www.howtogrowyounger.com you can see that Ellen Wood, inspirational speaker, columnist and author of THINK and GROW YOUNG – Powerful Steps to Create a Life of Joy, is a living example of the effectiveness of the processes she teaches. This is an exercise program used by Tibetan monks to live long, vibrant and healthy lives. 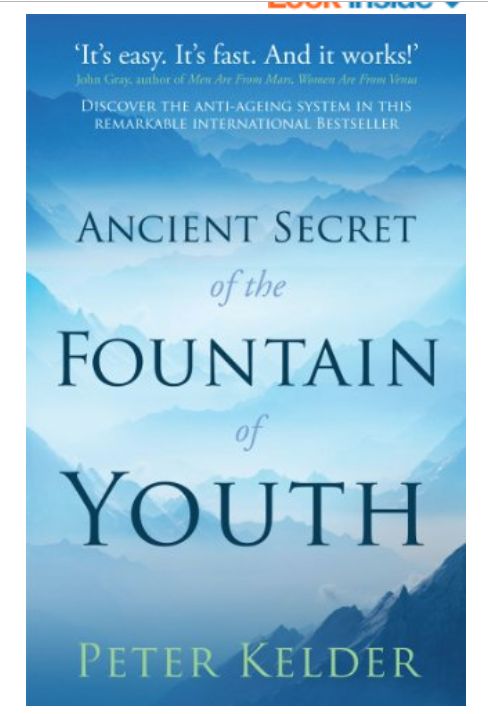 In fact, this book states that many have lived longer than most can imagine by following the “Five Tibetan Rites” program. 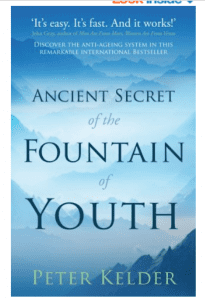 The benefits are described in this book and a subsequent called the Ancient Secret of the Fountain of Youth – Book 2, a companion to the original book. Start slowly and building up your prowess gradually – especially for midlifers this is good advice! If you are inactive, overweight, or have health problems begin these exercises doing one of the first three each day, and only if you feel totally comfortable doing this. If you are overweight do not do Rites #4 and #5 until you have developed some strength and endurance. Do the substitutes for #4 and #5 until you yourself feel ready to begin doing #4 and #5 of the “Five Tibetan Rites”. 21 is the maximum of each exercise you should ever do of the 5 Tibetan Rites. If you want to enhance your program, do the exercises at a faster pace, but do not so more than 21 of each exercise each day. Doing more than 21 repetitions of each exercise in any day will affect your chakras negatively and can create imbalances in your body. The “Five Tibetan Rites” may stimulate detoxification and often creates many unpleasant physical symptoms. This is why it’s recommended to increase the number of each exercise gradually on a weekly basis. If you have not exercised for some time, prepare to begin your “Five Tibetan Rites” exercise program by walking daily, for a half hour each day if possible. Another alternative in preparation for the Five Rites is a stretching program with a gradual increase in the types of stretching exercises and the duration of this program. A sugar free and low fat diet is an important support when integrating the “Five Tibetan Rites” exercise program into your life. Do the Five Tibetan Rites exercises every day. The maximum you should skip is one day each week. If the exercises are done less than six days each week, the results will be greatly reduced. For maximum benefit, do the 5 Tibetan Rites routine before breakfast in the morning, if at all possible. If this is not possible do them anytime during the day. My advice is to embrace this yoga like routine and make the 5 Tibetan Rites your daily ritual for growing younger and staying youthful in your midlife years. Like the Tibetan Monks you will stay healthy, youthful and energized, with all the vim and vigour to enjoy the LIFE YOU LOVE. You were soooo right. By the 3rd week, I was feeling more positive, had better posture — finding myself more inclined to sit up straight — and less inclined to get angry or argue my opinion with family due to a developing sense of well-being and a live & let live attitude developing. My shoulders, thighs, & arms are toning and getting smaller, my neck thinner, and I lost 5 lbs fast without any change in my diet. And all I do are these exercises every morning on an empty stomach. Have not seen hair turning color but for the first time in years my scalp is filling in with new hair! . So yes! There is something happening here due to these exercises alone. Each morning I put my inclination toward laziness aside and do them in 15-20 minutes. I try never to skip more than 1 session a week. I started with 10 reps of each exercise and add 2 a week. Plus, I always spin counter-clockwise as 1. my water spins down the drain that way where I live; 2. I’m a left-handed twin so feel more inclined to lean left while my right-handed twin feels great spinning right; 3. I feel energetic rather than depleted as I did while spinning right (clock-wise actually made ME look older and spinning left had me feeling progressively better and actually has me looking younger — so I’m told). Even when I’m sleep deprived, I do them and within 15 minutes, I’m all there, raring to go. Astonishing! I recommend each person in doubt do the exercises alone for 30 days then judge for yourself, see how your body feels. Another thing, it got rid of my aching right shoulder pain which I’m told is common with sugar or high carb eaters. I give the 5 Tibetans an A+++ and I can’t wait to see what happens at the end of 6 months of these daily exercises alone. Thanks Ms. Wood, my “introducer” to the 5 Tibetan rites.